Thetis and Nereids deliver new armor to Achilles. 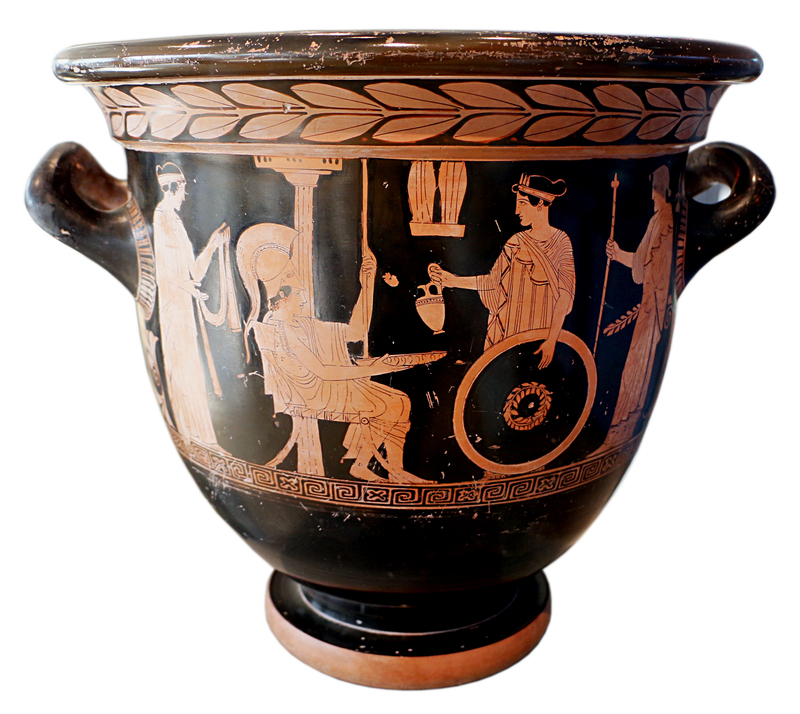 Attic Red-figure Bell-shaped Krater in the style of the Niobid Painter, ca. 450 BC.